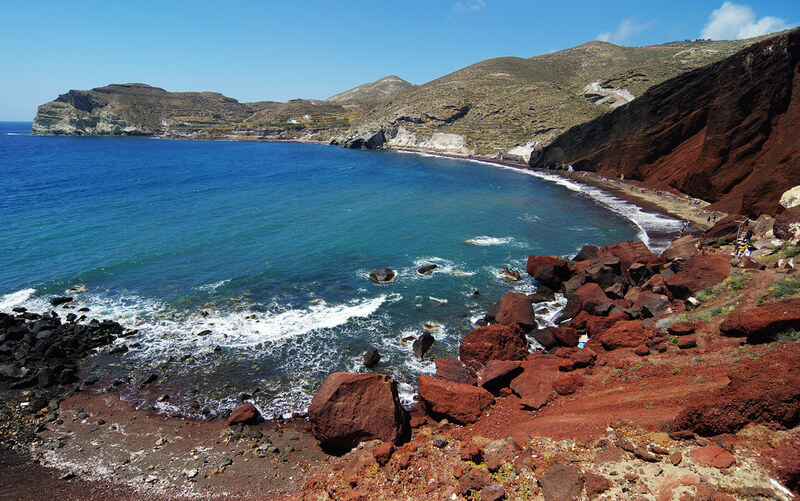 There are actually quite a few spots where you can do cliff diving, but the best one according to reviews is the Amoudi Bay. The bay is perfect for tourists who just want to go for a swim or have a closer look at the stunning Mediterranean water, but if you want something that’s more exhilarating, the Amoudi Bay cliffs are definitely the place to be! The capital of Santorini is actually filled with Easter eggs of activities that travelers who hate doing the usual “touristy” stuff. For starters, they can hike the Fira Trail to get to golden spots where you can see the best view Santorini has to offer. Fira is also one of the entry point to Santorini’s hot springs. Boats leave the Old Fira port daily to take tourists to the volcanic island of Nea Kameni where they hike around an active volcano, or jump off a boat to soak up on some warm Mediterranean water in one of the area’s hot springs. Stay in a cave house. Most self-help articles for a Santorini getaway will probably suggest that you stay in a cave house, but what we think will help you appreciate this unique lodging options is if you try to get to know the story behind the cave houses first. Old inhabitants of the caldera who could not afford to have proper houses built resorted to building cave houses. These are literal caves converted into homes to protect them and their families from the strong winds of Santorini. Fast forward to the present times when modern architects thought of converting these homes into luxury hotels. Book a night or two for an authentic Grecian lodging experience! Oh, and did we say that most of these cave houses give you direct access to the caldera? Before the cave houses and the abundance of white buildings, have you ever wondered what Ancient Santorini looked like? Wonder no more because you can get a glimpse of the old life in one of the best vacation spots by visiting Akrotiri. The streets, the different structures, and the remains of some glamorous mansions will help you travel back in time and see what life was like in one of the world’s most visited destination before the Theran eruption during the late Minoan Period.